Is your kiddo ready to be a historical hero? Excellent, then we have the perfect costume for your tyke. 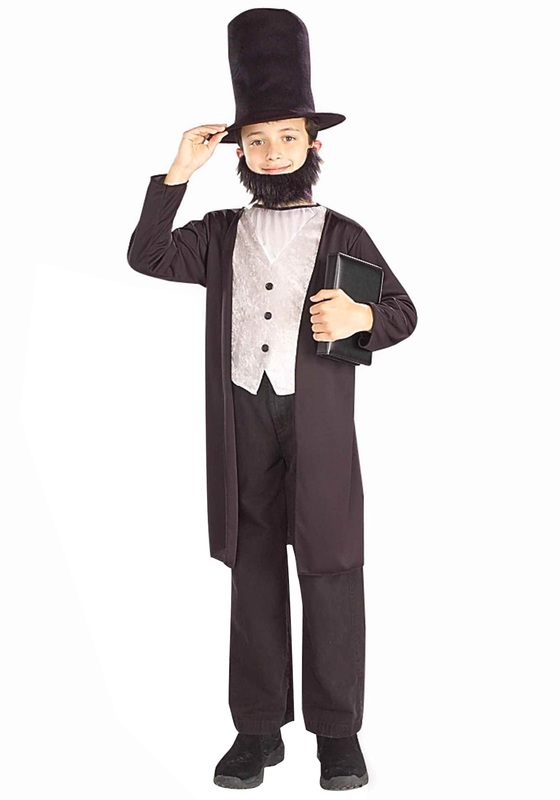 You can dress him up as one of America’s most well know presidents, and arguably our nation’s greatest leader, good ole Honest Abe, with this Abraham Lincoln Costume for children. Once your little guy suits up in these presidential duds and tops off his outfit with Abe’s iconic tall top hat, he’ll look ready to give an amazing speech. And we are sure it will be as epic and important to our country’s future as the Gettysburg Address. He’ll look fully prepared to keep a nation together and abolish injustices done to anyone. There are many amazing things Lincoln did for our country during one of its most trying times and it will be your job to educate your mini Abe all about it. Whether he’s got a school play coming up about our country’s history or he’s simply a history fanatic, this costume will be perfect for him to run around in while educating his peers. Now, although he may not have a falling apart beneath him, the more knowledge he has about the great feats Lincoln accomplished in and out of office the better. It will inspire him the be the best Abe he can be! Once you’ve properly educated your child about our 16th president and have him dressed up in this Abraham Lincoln Costume, he’ll be ready to take on the role of Commander-in-chief. And maybe, just maybe, your little one will be the leader that our country needs, one who unites us against all odds!